With more than 15 years of experience in marketing, Sherilyn K. Smith Rudolph holds an unprecedented degree of professionalism and expertise in her field. She is the president of Enigma, LLC, a dynamic services company specializing in all aspects of marketing and events management. Smith-Rudolph leads a talented full-time staff and maintains a flexible network of highly skilled specialists to meet clients’ evolving needs. After a successful career managing marketing and advertising programs in the newspaper industry, Smith-Rudolph saw an opportunity to bring her experience and unique perspective to her own clients. She founded Enigma in 2003 based on a simple business philosophy: build rewarding, long-term client relationships with character and care, two qualities that big marketing agencies don’t deliver. Since its inception, Enigma has grown to serve an impressive roster of clients. The firm’s success is built on its commitment to understand and work within each client’s objectives and requirements. That promise is especially visible in Enigma’s extensive work within highly regulated industries such as airlines, automotive, and alcohol. 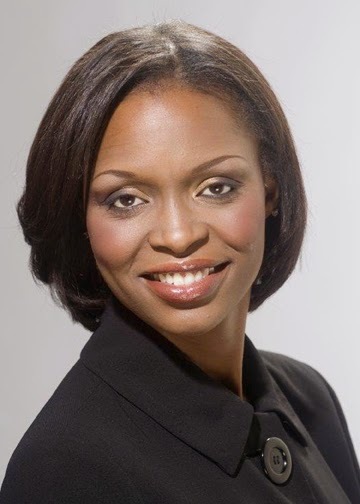 National news anchor, Roland Williams who formerly worked with Rudolph at the Dallas Weekly attributes Rudolph entrepreneurial success to her honesty and ability to always deliver beyond expectations. “Sherilyn has always exhibited a strong degree of professionalism and excellence about her that is unmatched. I have always been able to trust her explicitly and have always known that when she says it’s handled than it’s handled,” says Williams. With her many years of business-to-consumer, business-to-business, and grassroots marketing experience, Smith-Rudolph aspires to make Enigma the premier marketing and Promotions Company in the Southwest. Rudolph is the current recipient of the Quest for Success Award presented by The Dallas Black Chamber of Commerce. The Quest for Success Award recipients represents the best in the entrepreneur field. Rudolph’s exceptional national reach, diverse client base and unequivocal success in marketing and event planning afforded her the opportunity to be honored by the Dallas Black Chamber of Commerce. The Dallas Fort Worth Minority Supplier Development Council also presented Rudolph and her company with the Supplier of the year award. Over the years she has worked on projects such as the Superbowl, Megafest, and the NBA All Star Weekend. On the theatrical side, Enigma LLC orchestrated the marketing and promotions for Porgy & Bess, Fela and Dream Girls. Rudolph even managed to snag the contract for the upcoming National Black Caucus of State Legislators Conference. All of these achievements add to Rudolph’s immense portfolio and rise as one of the country’s leading female entrepreneurs. Her keen ability to forecast when and where to penetrate marketing strategies is an attribute Rudolph honed at the Dallas weekly and carried into her own company. Rudolph’s tactical vision and implantation has set a high precedence in event management and marketing separating her from other companies in her field. Over the years Enigma has been the agency of choice for clients such as General Motors, Dell, American Airlines, NBA Star Chris Bosh and a slew of other NBA and NFL players. Beyond being the entrepreneur of the year and receiving accolades, Rudolph is a domestic violence survivor and advocate. “I want my success to streamline into other women’s lives in a way that builds up their confidence and worth,” she said.